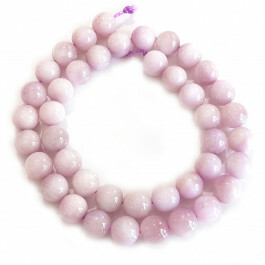 Kunzite Gemstone Beads 10mm Round (~40pce Strand) - 40cm/16'" Strand. A truly beautiful stone. 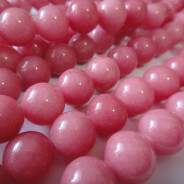 Kunzite is generally pale pink in colour. 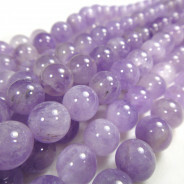 Gemstone colour can vary from light pink to lilac and sometimes light-violet. 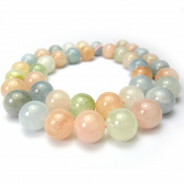 This variety of Spodumene was first found in the USA was named after mineralogist George Frederick Kunz who was a vice president for Tiffany and Co.
Gemstone colour may to fade with prolonged exposure to strong light.